I've been playing games since I was 2 years old. Always had a preference to sprite gaming. 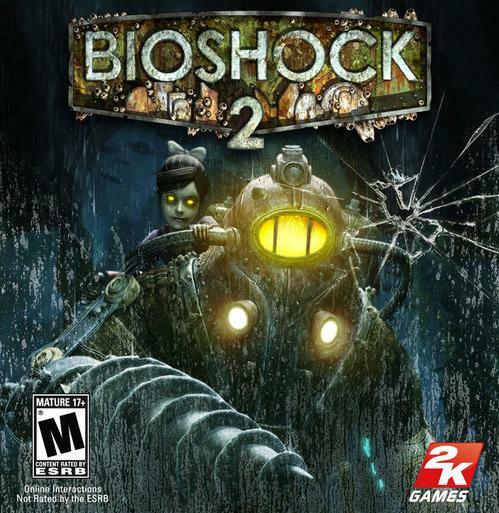 Learning how to get acquainted with modern day gaming while still respecting the old school. 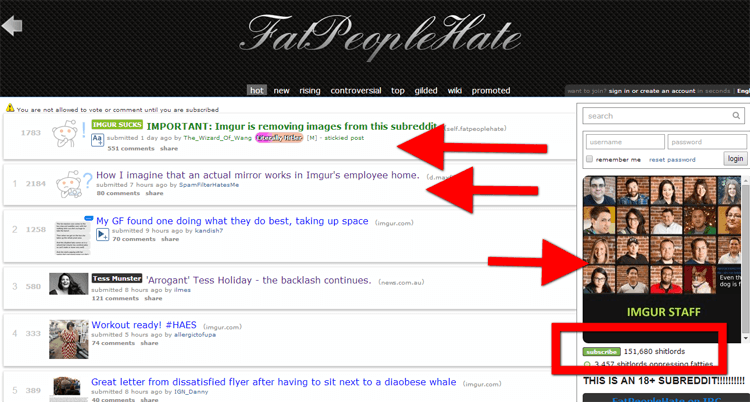 Imgur, a San Francisco based image hosting service, recently got embroiled in a spat with the subreddit /r/fatpeoplehate/. The subreddit mocks and dissects America’s obesity epidemic through user posted content. The spat involved /r/fatpeoplehate/’s images being taken down by the image service. In response, FPH ridiculed the amount of obese individuals staffed by Imgur. After a day of this spat, FPH was taken down by Reddit staff. Reaxxion dives in to the fold to understand why this happened. The FPH subreddit started around early 2013 as an offshoot of /r/fatlogic/. Fat Logic mocks the lunacy and delusions of morbidly obese people. The subreddit FPH managed to grow from a small subreddit to one of the bigger ones on the website. According to stats from redditlist, the subreddit had an incredible ~150,000 subscribers and was the 228nd most subscribed subreddit on reddit. FPH started to catch the ire of Imgur in the first half of June 2015. Imgur’s policy is to take down an image when it gets a lot of reports. The intensity of image takedowns started to get very serious around June 9th 2015, according to FPH moderators. The reddit moderators of FPH (/u/SportyStrawberry, /u/12_years_a_toucan,/u/The_Wizard_Of_Wang, et al) verified the accounts of the increasingly tight Imgur pressure. On June 10th 2015, FPH decided to lambast the staff of imgur. 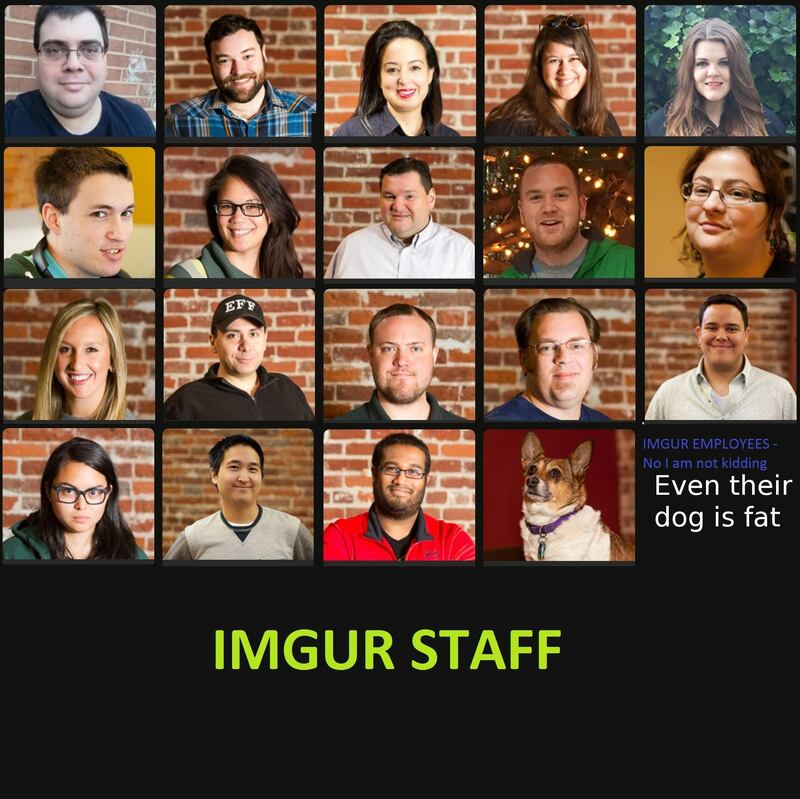 They posted a picture of imgur staff with mocking text about their weight status. This pre-2005 somethingawful level prank would have been faced with a shrug, if this was in the pre-2010 internet era. The subreddit was shut down a few hours after their mild imgur staff ribbing was posted. 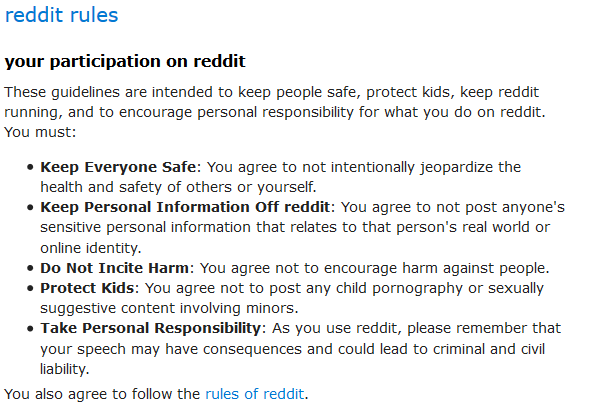 Reddit used the rationale that FPH was harming the safety of users. 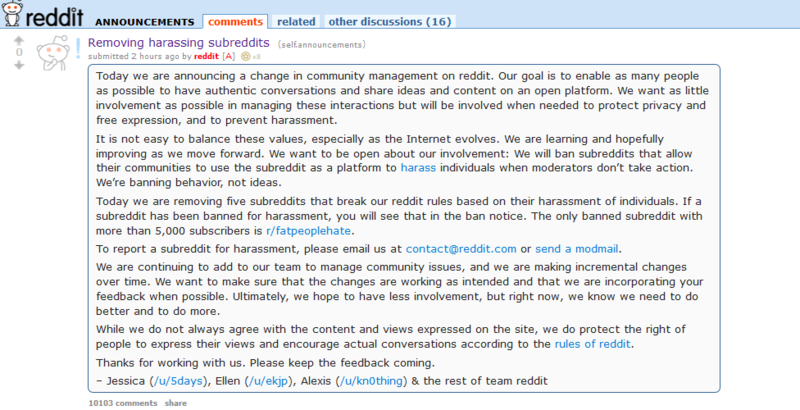 “This subreddit has been banned for violating the reddit rules to keep everyone safe “ This absurdity would have been palatable if reddit also closed down a much worse subreddit like PicsOfDeadKids. Reaxxion isn’t here to play morality police, but posting pictures of dead children is worse than making infantile grade school fat jokes. 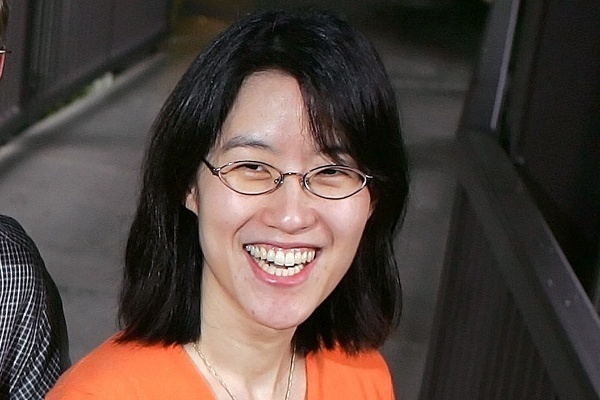 Reddit’s hypocritical behavior of trying to “Ban Behaviour, Not Ideas” and letting a woman who tried to extort 100 million dollars as their standing CEO is telling. 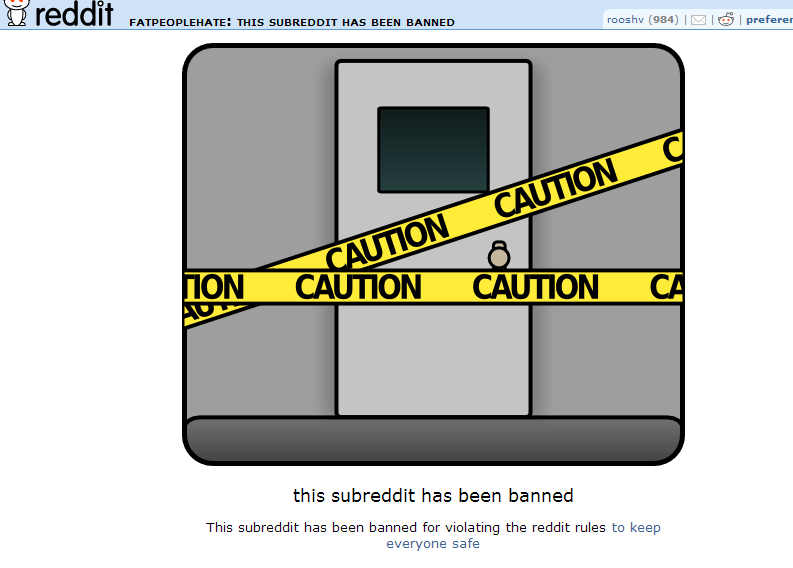 You might not like the content of FPH, but Reddit’s insistence of having a fiat system of banning things they don’t like is troubling. As we all know, the people who climb to power to ban “troubling” behavior tend to be authoritarian social justice warriors. Reddit and Imgur won’t stop at FPH and will inch closer to banning other ideas they don’t like. Subreddits like the /r/theredpill/ and /r/kotakuinaction/ will be next on the chopping block for not being SJW party members. 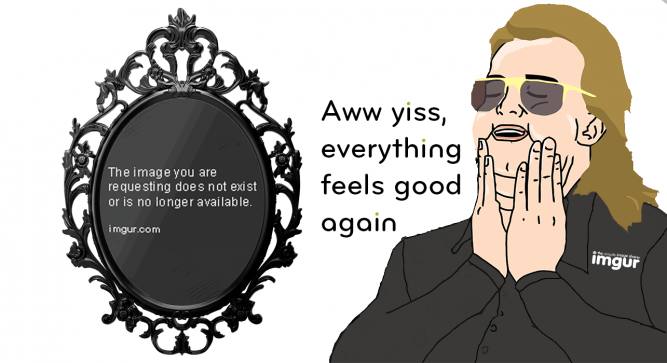 The canary in the coalmine FPH is tarred from reddit’s and imgur’s childish mean-spirited coal. The subreddit FPH will likely survive on other free speech platforms like 8chan and Voat. This doesn’t mean that reddit and imgur get a free pass to play petty dictators. Employees at these two companies took a minor annoyance and made it into the crime of the century. Investors and people who use Reddit/Imgur to facilitate a decent living should look at this as a sign of things to come. These companies would rather let SJW’s infiltrate their company and run it to the ground instead of respecting the founding free speech ideals that made them great in the first place.